← How to convert documents of Microsoft Office Word to emf? The New Year is coming, and in the “Christmas Shopping Times”, what will you do to gain more while spending less? 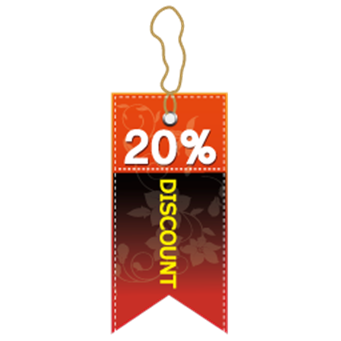 For celebrating the coming Christmas Day, we now offer a discount for the useful application VeryPDF PDF to Word Converter at 20% off. The lower price is only offered before December 31, 2011. To work in converting PDF to Word more conveniently with saving your money, click this link and buy it with a low price now. VeryPDF PDF to Word Converter is a useful office assistant for converting PDF to Word. The application has many special function features. Firstly, it is a good tool for extracting contents of PDF files to Microsoft Word documents. It supports all existing PDF format versions. It can convert PDF to Word documents without the system environment of Adobe Acrobat or Reader. Secondly, besides converting PDF to Word, it supports to save contents of PDF files to Rich Text Format (RTF) which is lighter than MS Office Word. MS Office Word is an excellent office tool; however, not everybody uses it. RTF document format is widely accepted by most word processing applications, and it is easier to share than MS Word. Thirdly, the application PDF to Word Converter can not only extract the textual content of PDF documents but also retain the graphics of the PDF files. Many documents are stored with text and graphics which are all significant for providing information. VeryPDF PDF to Word Converter will not lose any of your significant information in your PDF documents while converting them to easily editable files. Fourthly, the application supports batch process. With the tool, you need not convert your multiple PDF documents one by one manually. Just add all PDF documents to the process queue, and start the conversion, then the job will be done automatically by the smart application. Do you want to know more descriptions about the application? Visit its homepage http://www.verypdf.com/pdf2word/index.html or the manual page www.verypdf.com/pdf2word/help/help.html. Do not forget that the price is 20% lower than the usual one now. Just click this link, and you will get the useful application PDF to Word Converter with a 20% discount. It is just for you before December 31, 2011. VeryPDF PDF To Word Product has encountered a problem and needs to close. How to search scanned pdf in text? This entry was posted in PDF to Word Converter, Promotion and tagged PDF to DOC, PDF to Word. Bookmark the permalink.